Red Star Linux ... OS X? Red Star Linux, the home-grown operating system used in North Korea, has been updated to version 3.0, and takes a new twist in design. The OS is developed by Korea Computer Centre, a software company based out of Pyongyang. Previous iterations of it have seen a traditional Windows style affair, complete with taskbar and start menu. That appears to have changed in version 3.0, though, with Red Star Linux's designers swapping to Apple for inspiration. 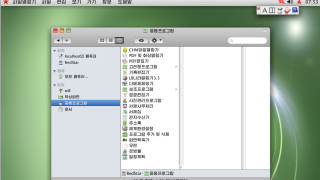 A new green background sits behind a row of icons on the bottom of the screen in what is a decidedly Mac-looking style. Open windows are grey with traffic-light coloured buttons for minimise, maximise and close, while a minimalistic taskbar runs along the top of the screen. Red Star has essentially been reskinned to look more like Mac OS X. The OS also comes with a copy of Wine, which provides an environment for Windows software to run on. Red Star Linux also includes a web browser based on Mozilla that has been renamed "My Country"
A first look at the changes have arrived world outside of North Korea thanks to computer science lecturer Will Scott at Pyongyang University of Science and Technology. Scott told the North Korea Tech Blog that he bought the operating system in the capital city while in the country. Most North Koreans are restricted from accessing the web, so any leaks of software from within the country have been from foreigners visiting for work or study. The country does have a working intranet, accessible through universities and public libraries. It offers websites but is heavily focused on the offering of educational material and propaganda.